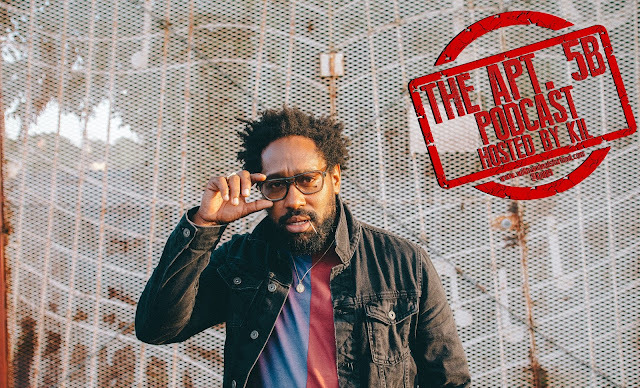 For this week's episode of my podcast me and JR are chopping it p with one of the dopest singer, songwriter, musician on the planet with New Orleans' own PJ Morton! We're chopping it up about why New Orleans is built on musicianship, why a musician in New Orleans is held in the same regard as a doctor or lawyer, how his father (who's a gospel singer) family and the church viewed him when he wanted to do R&B vs. gospel and how he grew up in his father's shadow & now the roles have reversed to how he got down with Maroon 5, how he got signed to Young Money and why he eventually left, how hip hop influenced him, what it was like working with Stevie Wonder and how what was his mindset to produced a masterpiece with his new album "Gumbo", why it's only 9 songs deep and how listening to a lot of Frank Sinatra help to influence Gumbo. Plus, we've also got PJ breaking down why there's more unity amongst the young soul singers then in hip hop, how we throw the word genius around too loosely now and how 5 of my favorite PJ BANGERS got cooked up and what the sessions were like! Trust and believe ya'll this is a DOOOOOOOPE episode you don't wanna miss! Also don't forget to subscribe to our You Tube Channel!